Do you want to export test cases with test case steps from HP ALM? HP ALM Test Case Export Utility provides simple solution to export your test cases into excel format. You can choose to export a particular test case or group of test cases under a test case folder or multiple test cases or multiple test case folders from 'Test Plan' module. The exported excel sheet can be used for many purpose such as archiving, test case migration to another test management tool or another HP ALM instance, test case mass updates, offline test case review/update process. Test case management and QA is about Coordination and Visibility. 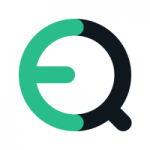 PractiTest is an Innovative end-to-end QA and test management tool that is easy and affordable, yet flexible and methodological. PractiTest allows you to Manage all the Requirements, Tests, Issues and Reporting in one simple software testing solution. Get all the information you need in one integrated test case management software solution.Real value from all the information. A Test Case Management tool to help you manage your work and your team. PractiTest is a technology and methodology leader in the field of Application Life Management (ALM). Ensure the quality of your mobile apps and websites on real devices and carrier networks. 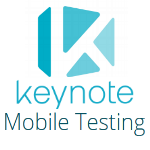 Keynote Mobile Testing, powered by the DeviceAnywhere Cloud, streamlines testing process and helps to deliver great mobile experiences to users. The DeviceAnywhere Cloud contains the largest mobile device library available--including the most current and popular smartphones and tablets. It provides with the ability for testing mobile websites or apps on iOS, Android, BlackBerry, and Windows Phones. It can also integrate any custom mobile device including smartphones, tablets, wearables, and even unique devices such as ruggedized, set-top, and in-vehicle devices. 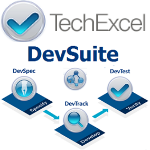 XStudio includes a versatile test management software that can drive any kind of tests, manual or automated. 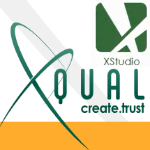 XStudio makes the management of requirements, tests, bugs, trivial and less costly to maintain. XStudio allows the scheduling/running of fully automated, semi-automated or manual test campaigns. It comes with an integrated requirement management module and a bug-tracking database. Some connectors are also provided to connect real-time with JIRA, Mantis, Bugzilla or TRAC. XStudio supports MySql and Oracle database servers. Automate mobile app testing without the use of programming language. Jamo automator is an intuitive, scriptless digital test automation tool that allows users to create, modify and replay mobile app test scripts without the need for programming. No coding skills necessary: anyone who can interact with the screen can record, enhance and maintain reusable test scripts. OctoPerf is a SaaS software aimed to improve quality and performance of web and mobile applications. OctoPerf lets you create thousands of realistic virtual users in a few clicks. No code to write, it all happens in our intuitive GUI. With the essence of JMeter, its core features, Octoperf is a performance testing service on top of it. So you can benefit from the power of the best Open-Source load testing tool without even bothering installing it. It allows to import JMX records and export reports. Its reactive and modern GUI made with AngularJS lets helps to design realistic virtual user in an accessible way. It is also capable of generating performance tests reports. These reports are populated with live metrics thanks to ElasticSearch. 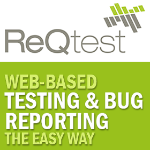 ReQtest is an easy to use, web based service for issue tracking, handling bug reports and test cases during test of IT systems. 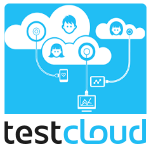 It is a centralized and highly adaptable test platform. Its activities and operations include: UAT testing, manual test tool, test management, requirement management, issue tracking, bug tracking, test case management, manual testing. Complete Test Management - Our software testing tool ReQtest offers a complete module for test management. Plan your testing by writing test cases and checklists, execute them by sharing with your test team, and follow the progress in real time to see how the tests are going. Load tests with up to 600k clients / test from multiple world regions. 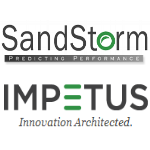 Two load test scenarios for a better simulation of the users accessing your application. Extensive load test configuration for full coverage on all scenarios. Bugfixing started as nothing more than run-time environments and Excel sheets. The world has changed a lot since then, but the same can’t be said of most testing software. Good thing we’re revolutionizing everything: our cutting-edge crowdtesting platform restructures the whole process and presents it simply, clearly and beautifully. The solution offers freely definable test cases, analyses and an easy to use tester management system. Integrated routines transfer information to an in-house bugtracker, and flexible group management allows the option to book additional professional testers from the testcloud crowd. HP ALM is a unified platform for managing and automating activities, insight, and assets to deliver applications from requirements through development, testing, and readiness for delivery. HP ALM includes HP Quality Center Enterprise (QCE) and integrates with upstream project portfolio management software and downstream deployment, monitoring, and incident management software to drive complete ALM of applications from inception to retirement. HP ALM is ideal at improving visibility across local, distributed, and outsourced teams, and at managing the moving parts of today’s applications. Built on a standards-based, extensible architecture and centralized repository, HP ALM is a unified, technology-agnostic application delivery systems. Testmunk is a cloud-based mobile app testing solution for iOS and Android devices that allows you to automate your testing. Over the cloud, you can test on a large number of Android and iOS versions and devices and receive high-resolution screenshots of each step of the test to review UI design. 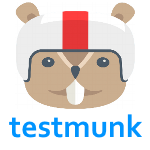 Testmunk supports continuous integration and their paid plans are accompanied by one of their QA Automation Engineers, who can help you set up, maintain, or modify tests, while their free plan includes 3 hours of device time and API access.